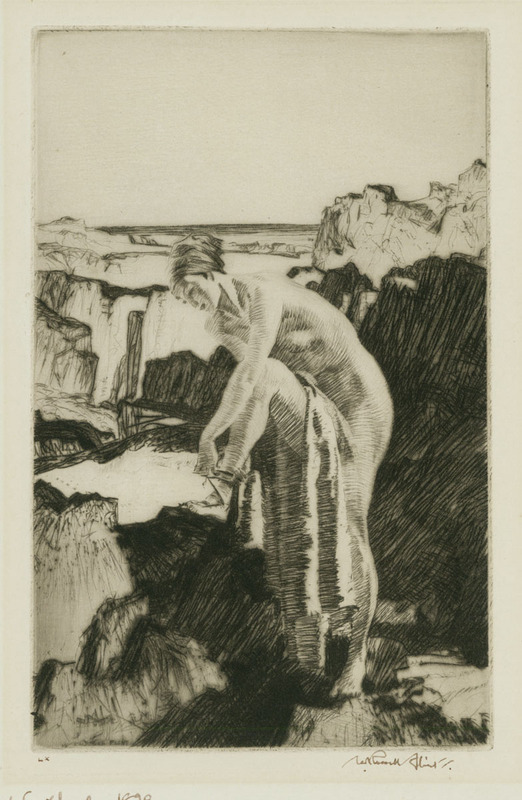 This is an original hand signed drypoint etching by British artist Sir William Russell Flint. 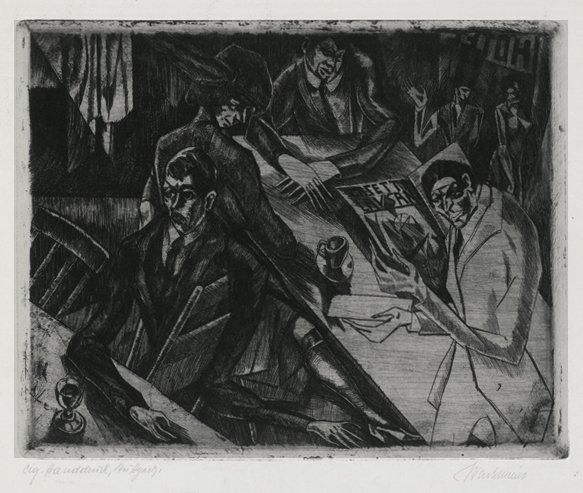 The title of this work is "A Rendez-Vous,Vincenzia". It was created and printed in 1929 in an edition of 75. 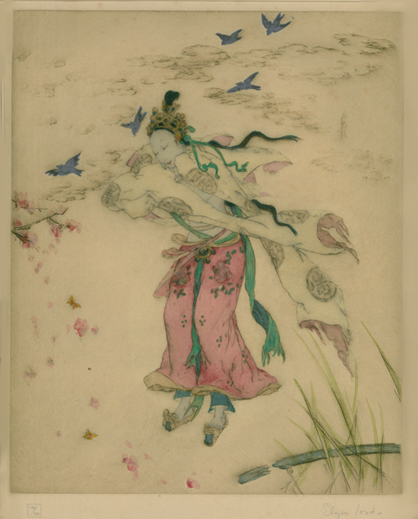 The image measures 9 1/2X6 5/8 inches, printed on a watermarked laid type paper, signed in brown in and editioned as "VI " in the lower left border. 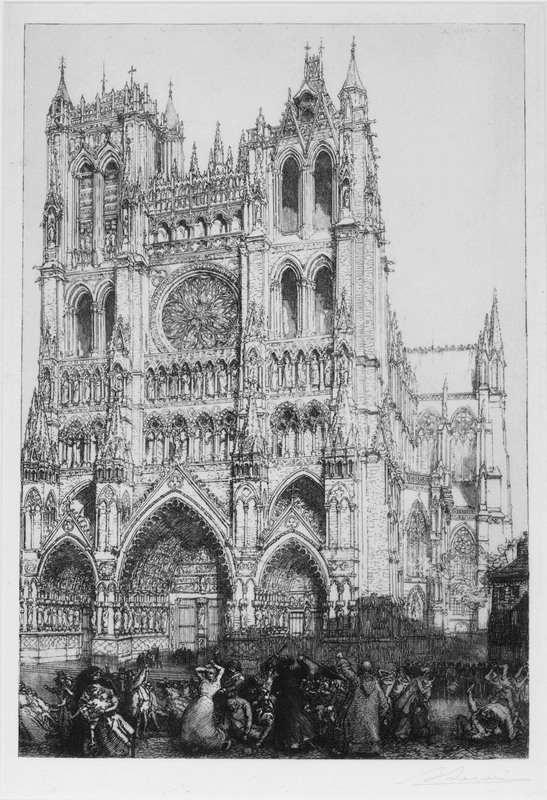 This image appears in the Wright catalog as image number 19. 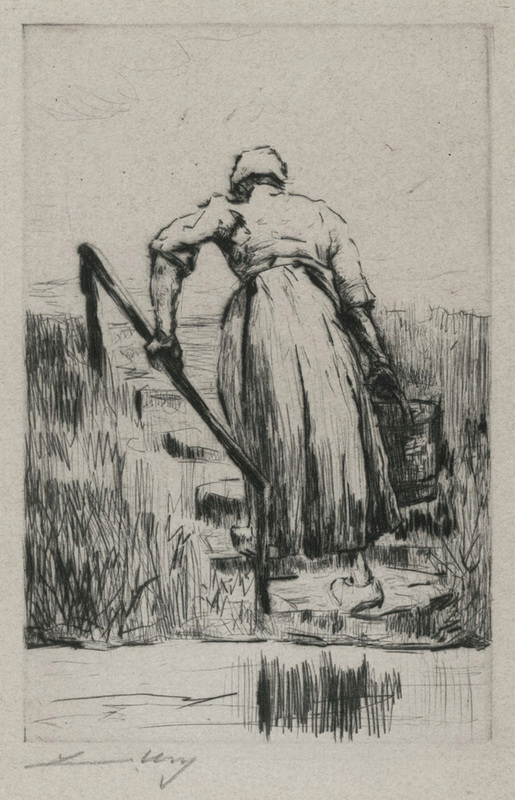 Drypoint Etching,1918,edition 75, Hardie 154, Etched from studies made at Berneval, image size 6 3/8 x 8 1/4 inches, blindstamp, pencil signed. 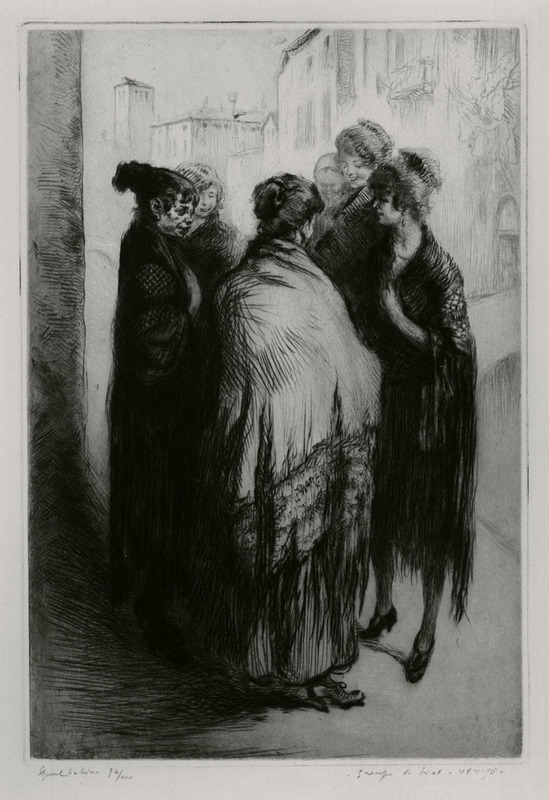 Etching, dry point, image size 12 1/4 x 8 1/4 inches, 1922, edition of 100, Tabelli #345, pencil signed l.l. "Edgar Chahine", titled l.r. "Groupe de Sail - Venice". 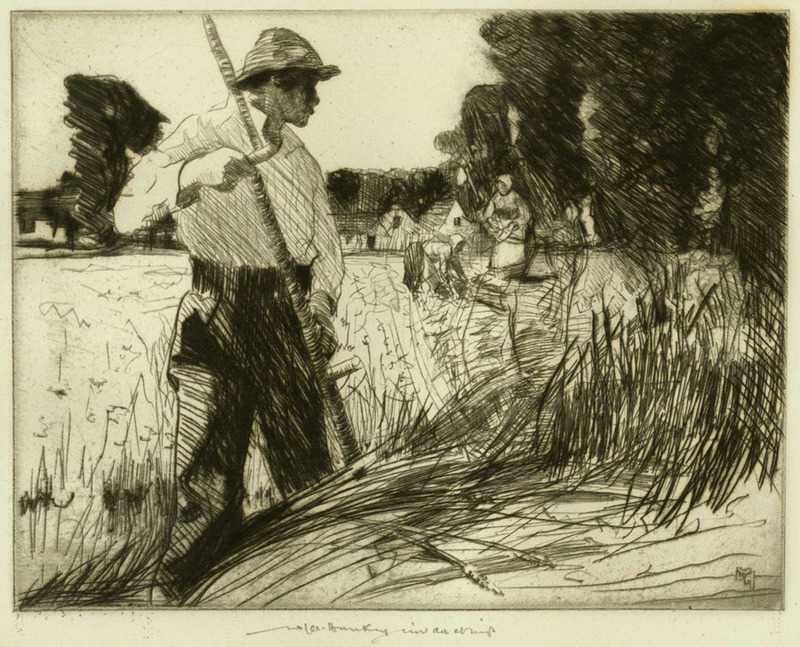 This beautiful 1907 etching with drypoint of "Inventory Day" by August-Louis Lepere measures 13 1/2 x 9 1/2 inches, in an edition of about 166, Saunier cat: 344, illlustrated in "Etchers and Etchings", Joseph Pennell, 1929, p. 199. Dated and signed in the plate and pencil signed, l.r., framed. 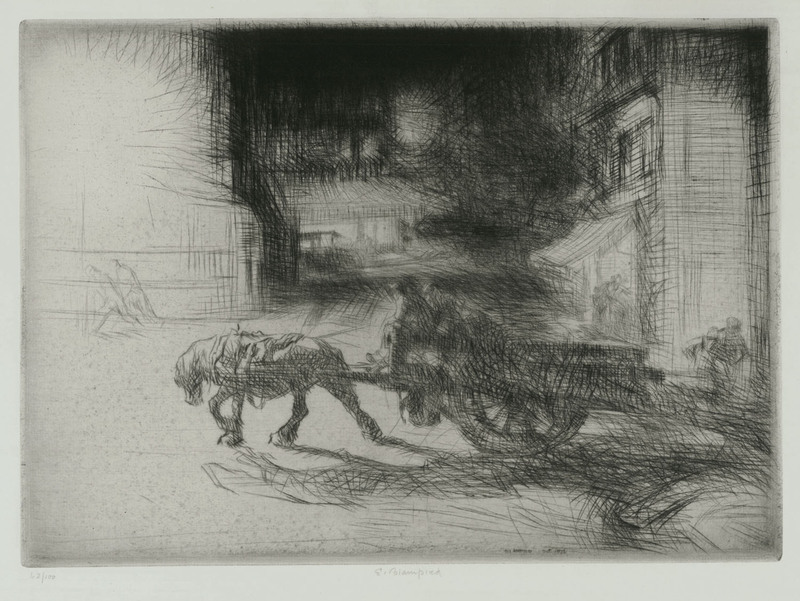 Auguste-Louis Lepere was one of the leading French printmakers of the late 19th and early 20th centuries. 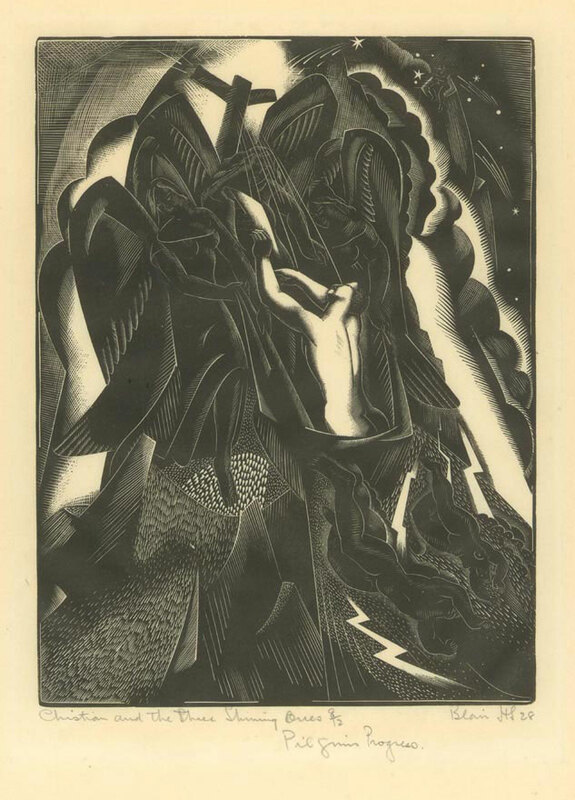 He began studying printmaking at the age of 13 with Joseph Burn Smeeton in Paris and quickly made a name for himself with his innovative style and technically brilliant etchings and wood engravings. 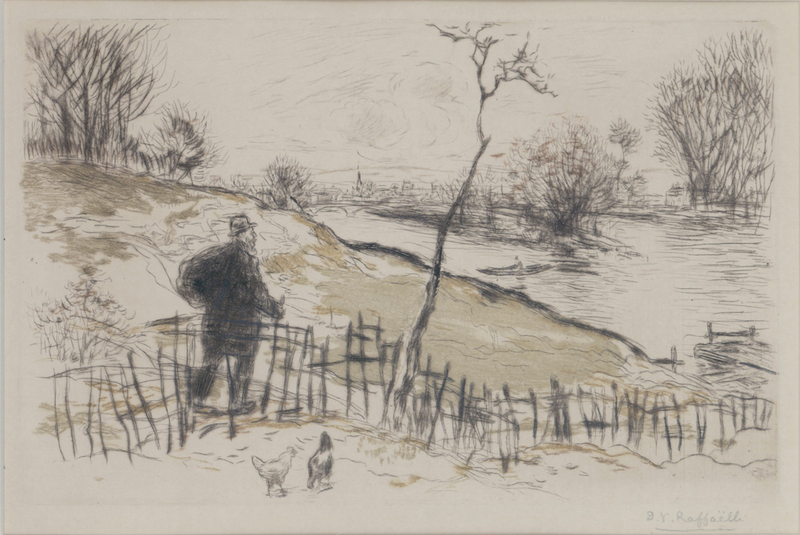 Pencil signed and titled etching by the Austrian Expressionist Wachelmayr. Image size is 7 3/4 x 9 3/4 inches on 10 3/4 x 12 3/4 inches wove-type paper. Circa 1917. 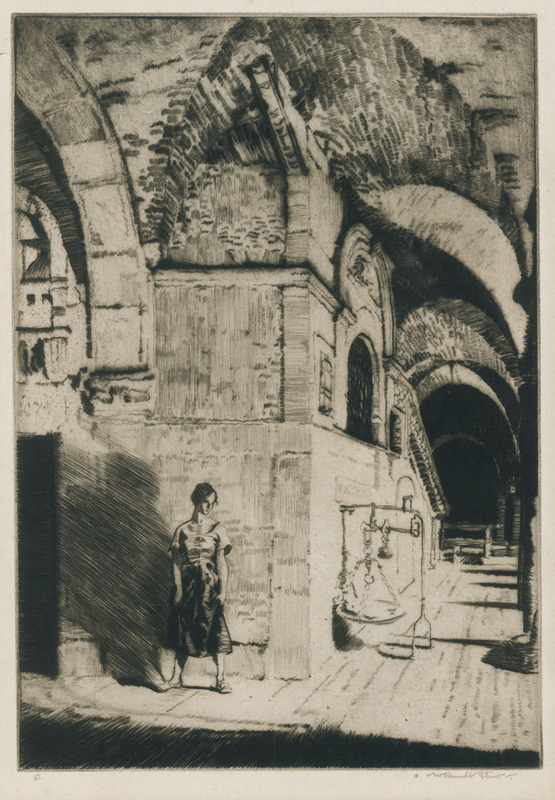 William Russell Flint etching titled: "Celinda's Precaution", this etching was created and printed in 1930 and is editioned as 60/75. 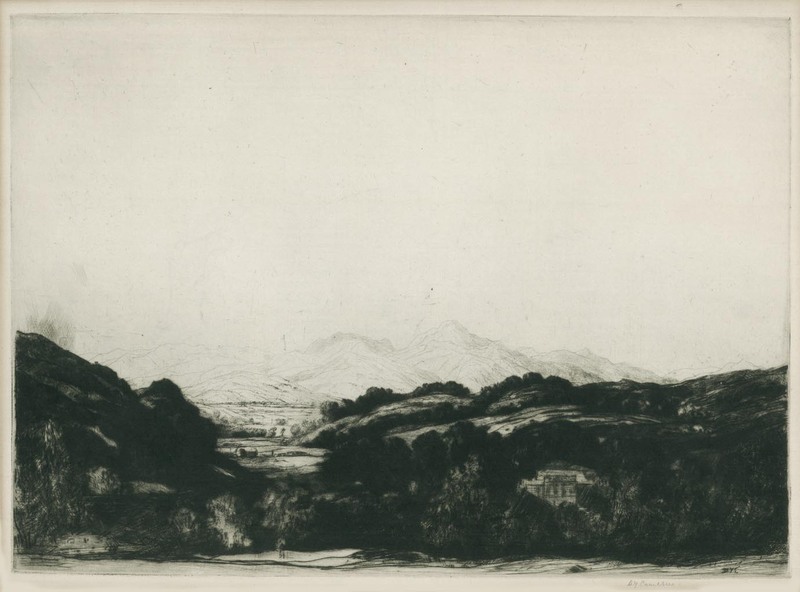 The etching is hand signed in pen and ink lower border, and printed on an antique wove type paper, identifuied as "Weatherley, 1829" The image mesasures 7 1/4X4 3/4 inches. 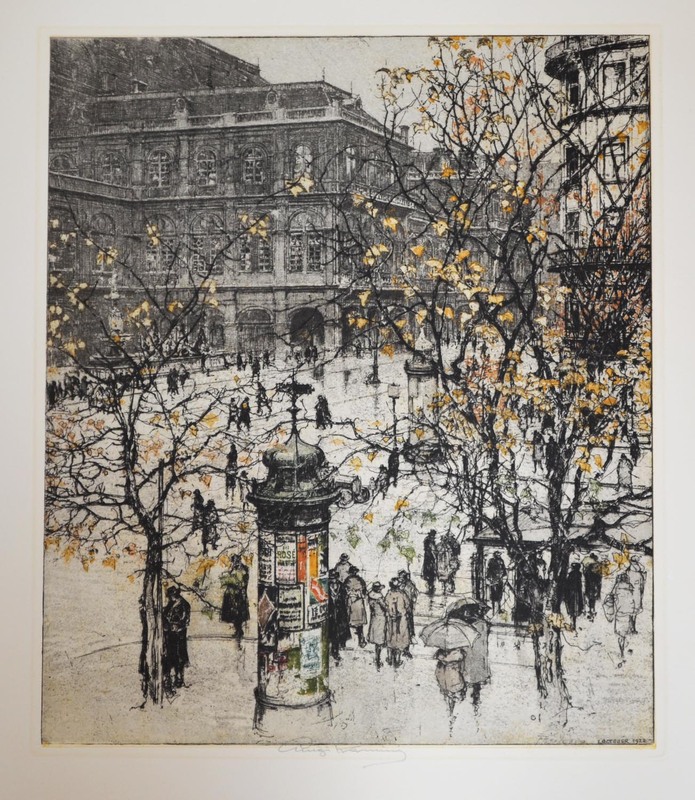 This is an original drypoint etching by Scottish artist David .Y. Cameron. It is titled: " Monzie" with a view of Monzie castle. This image measures 9 3/4X13 3/4 inches. Printed on a medium weight laid type paper with a unicorn watermark. Hand signed in pencil lower right border. Very rich impression. Fine use of drypoint in the foreground shadow area.